Sveltull Trichophorum alpinum (L.) Pers. 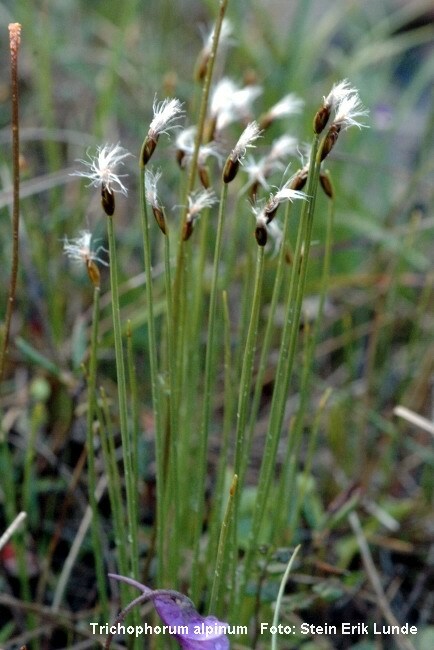 Synonym: Baeothryon alpinum (L.) T. V. Egorova, Eriophorum alpinum L., Scirpus alpinus (L.) Herm., S. hudsonianus (Michx.) Fernald, S. trichophorum Asch. & Graebn. Trichophorum - Av gresk thrix, hår, og foros, som bærer.